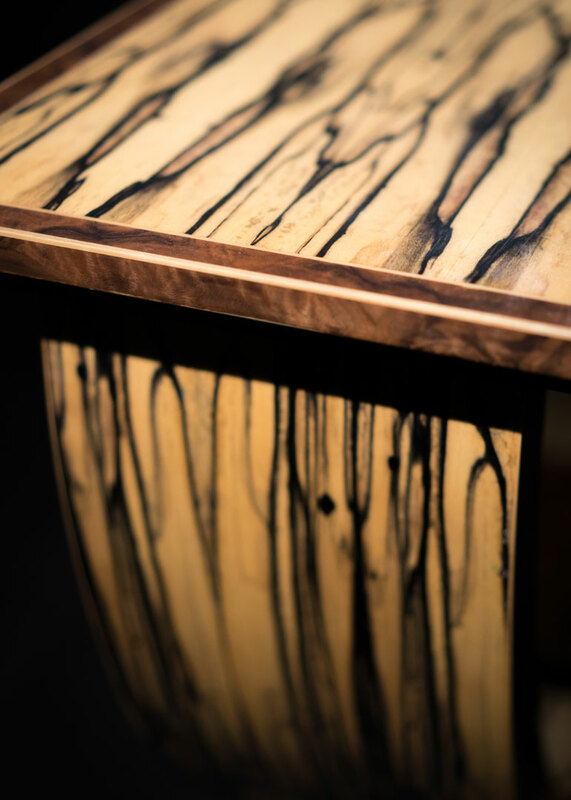 Extravagant White Ebony is paired with English Walnut creating a timeless classic. 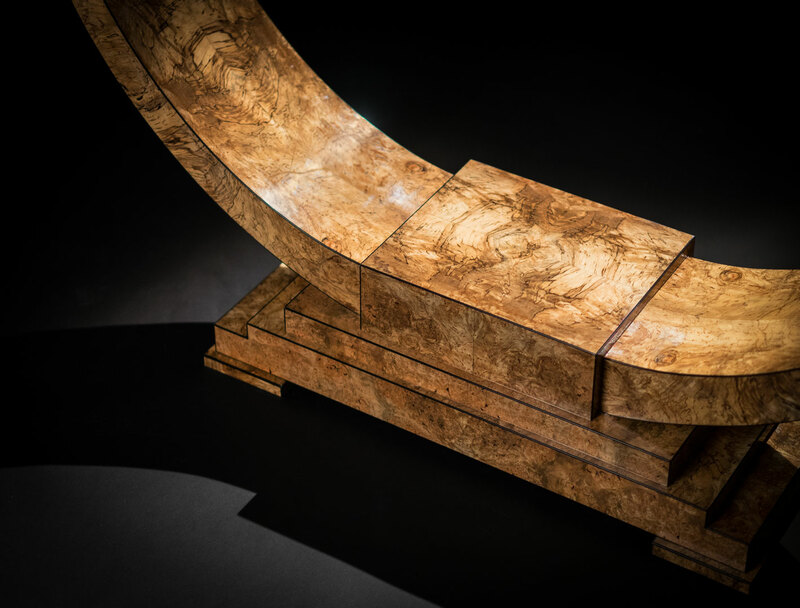 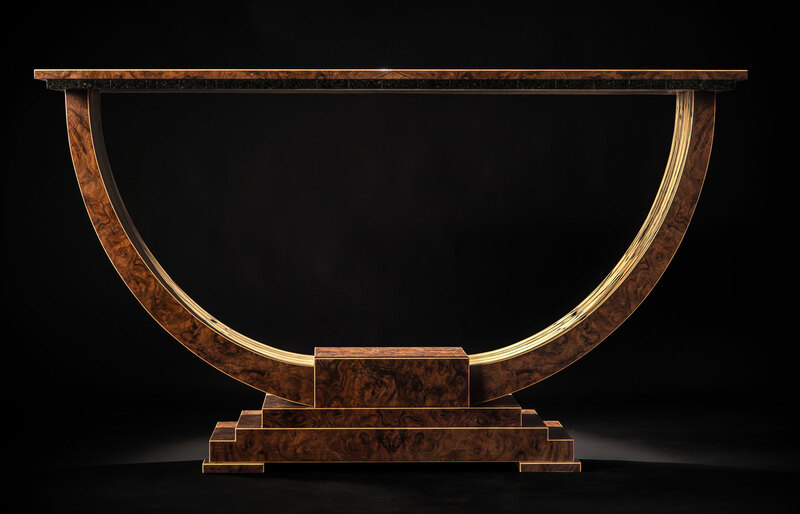 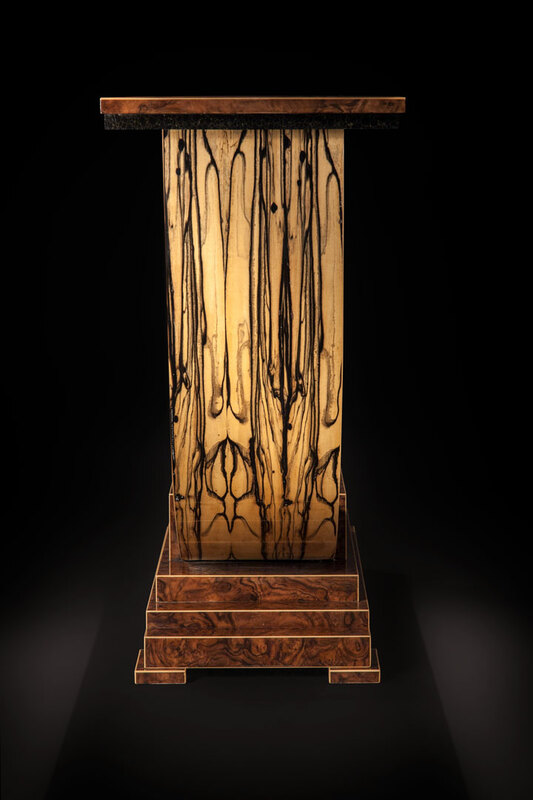 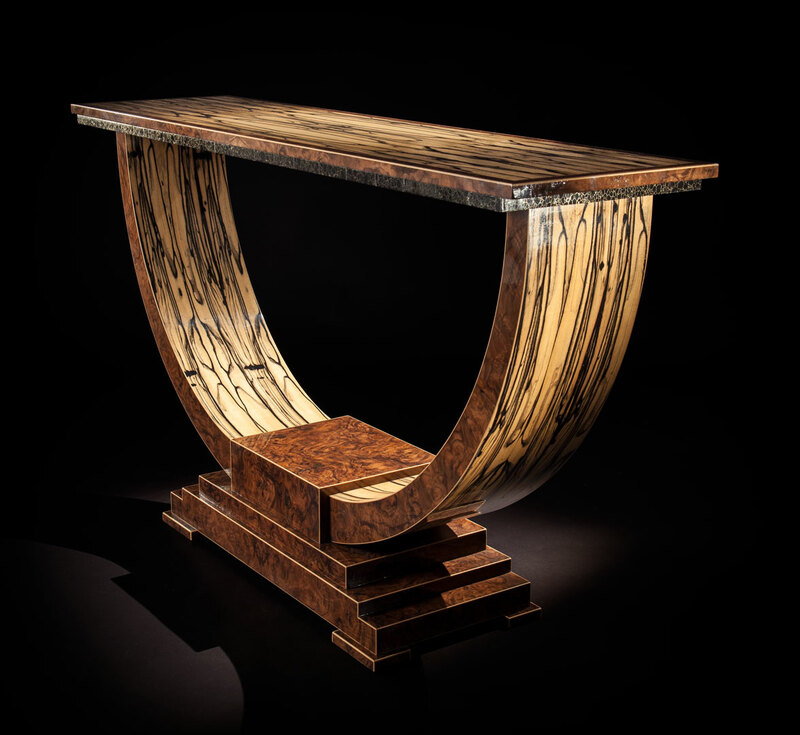 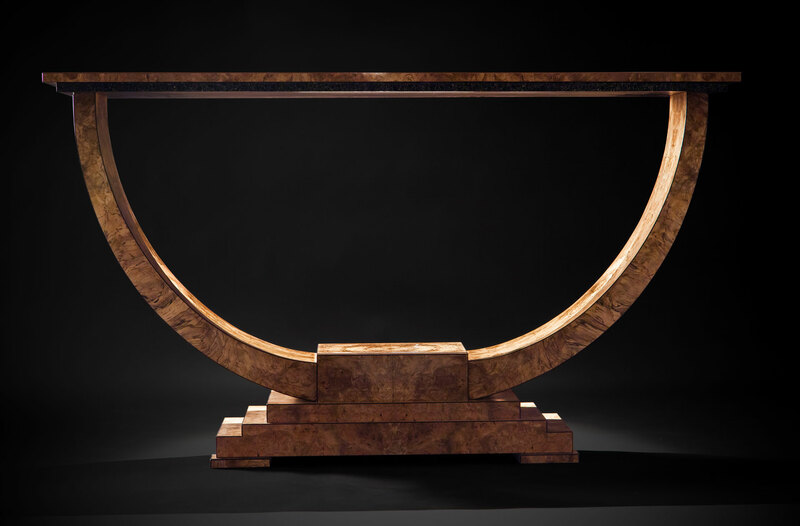 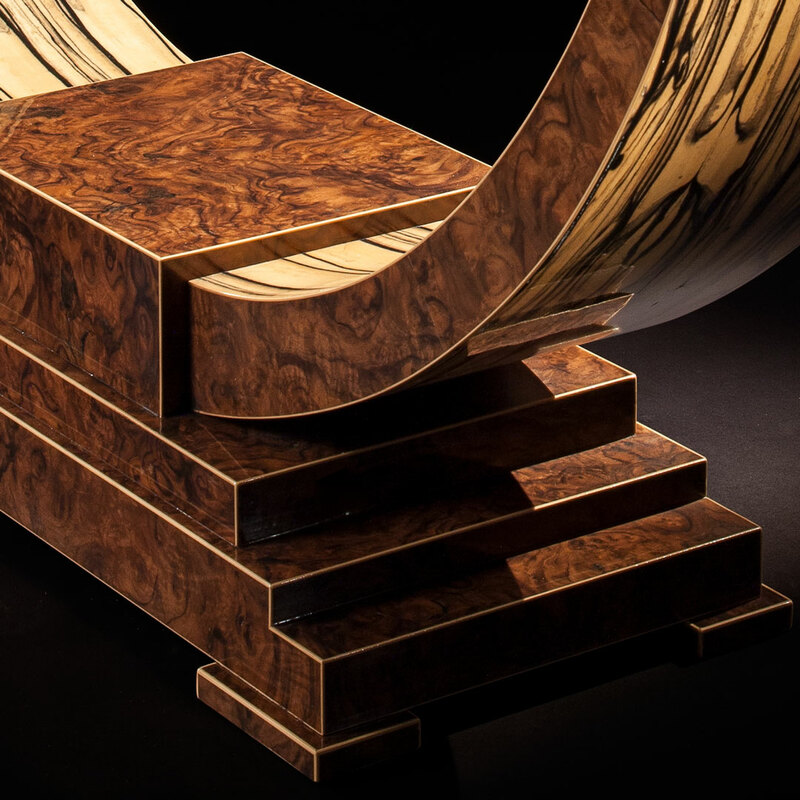 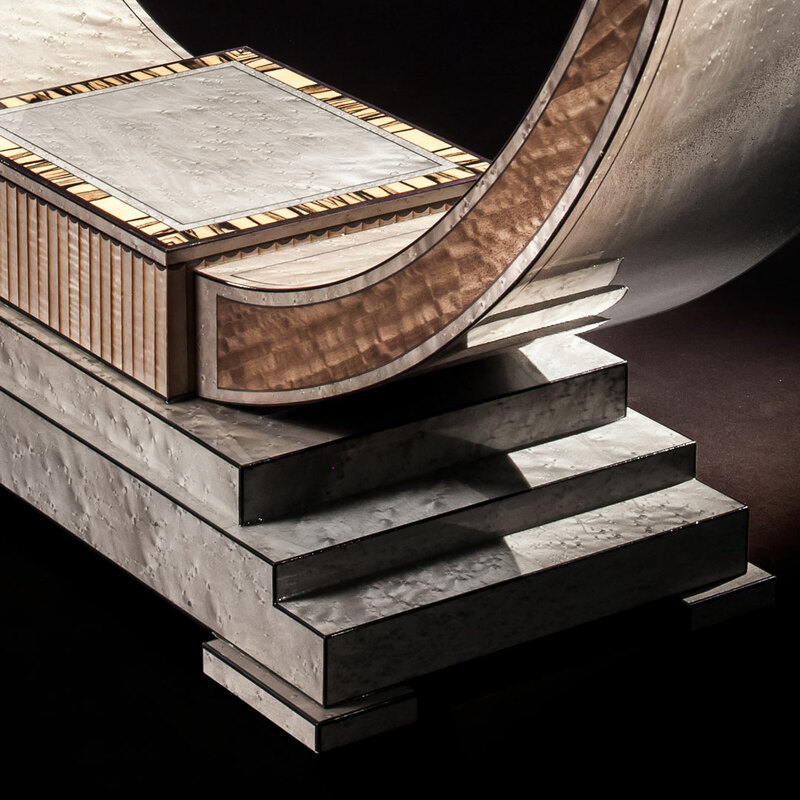 Entirely veneered in rare Liquid Ambar, this elegant console table conveys opulence and sophistication. 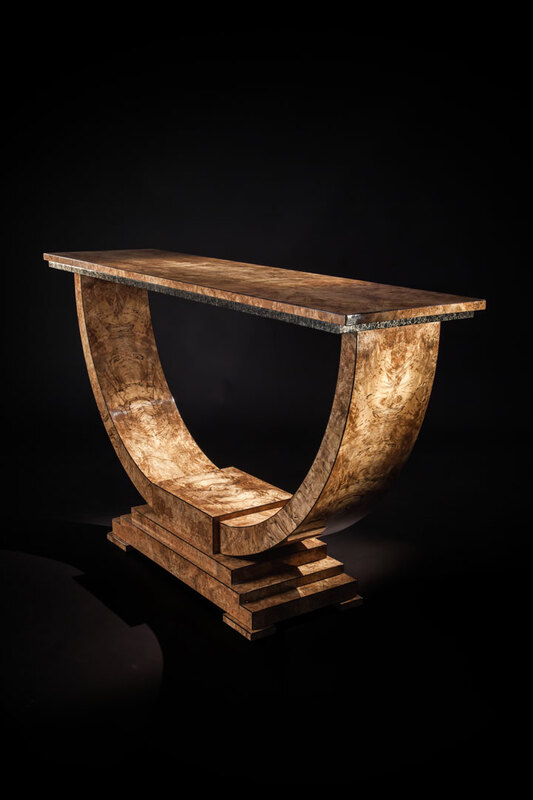 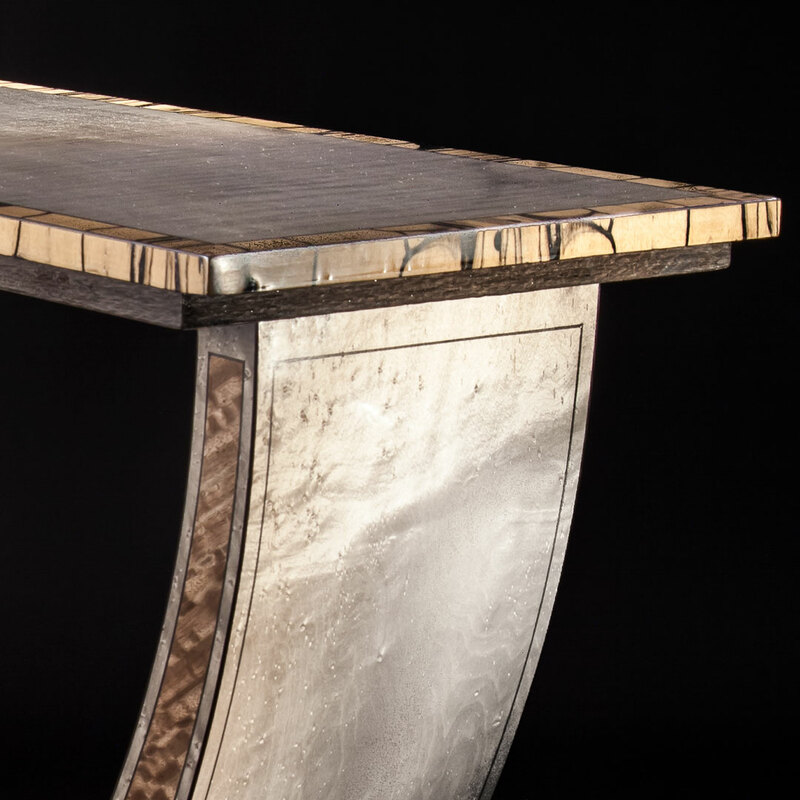 This exciting console table combines Italian Sycamore and Silver Maple to stunning effect. 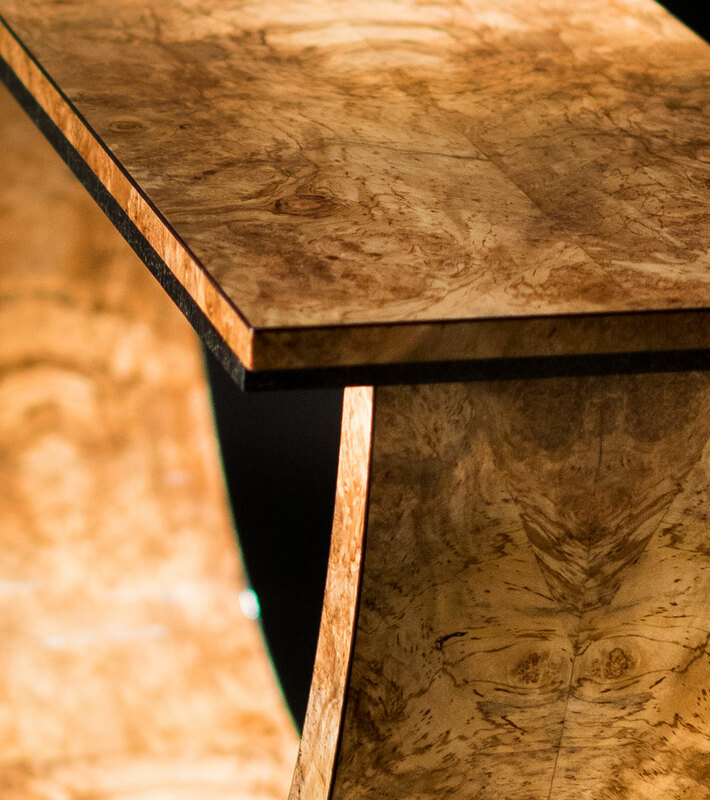 Whether placed in a country home or the most modern apartment, an Excelsior will provide presence and grace. 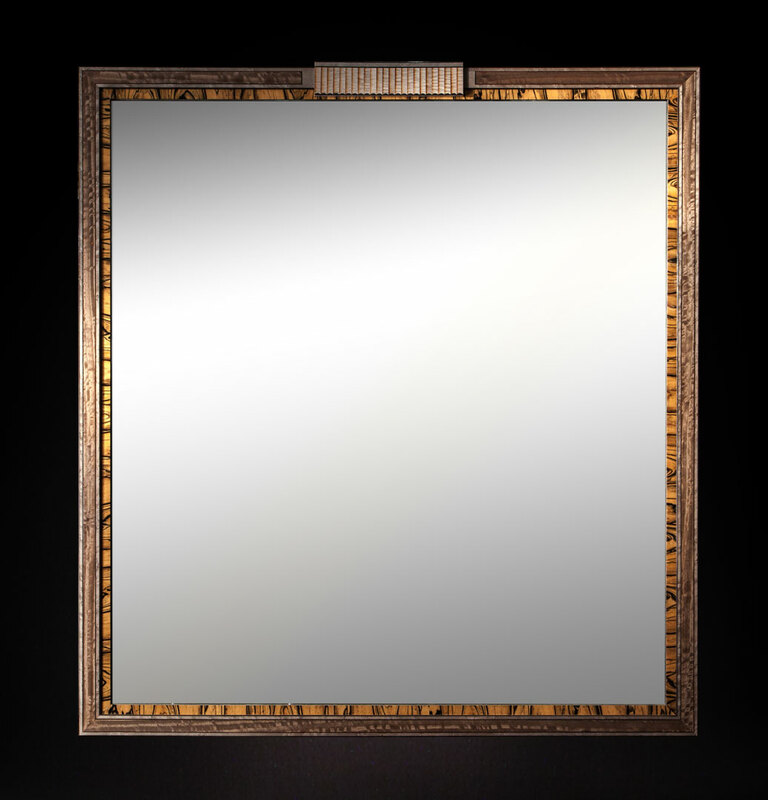 In addition, an Excelsior Mirror will complement each piece perfectly. 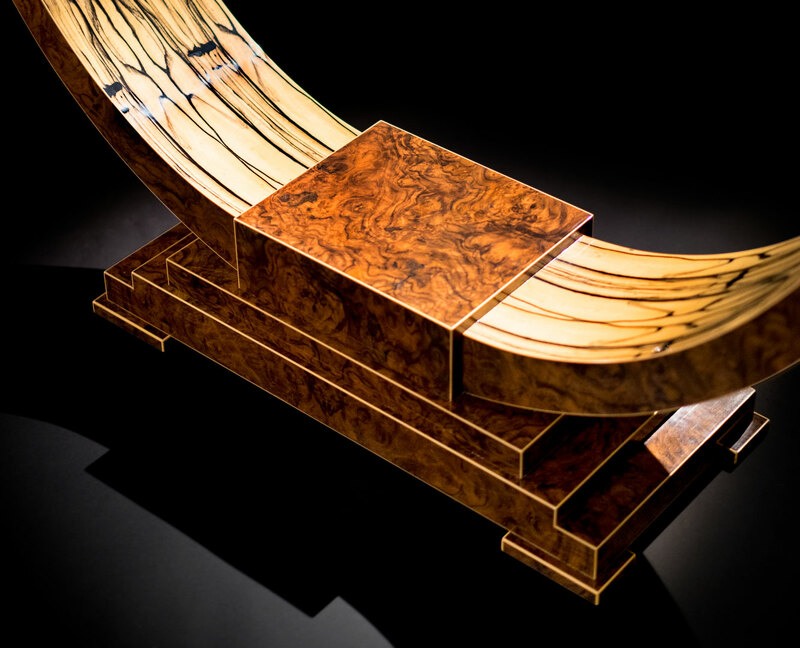 A rare and exquisite veneer, White Ebony is used extensively throughout. 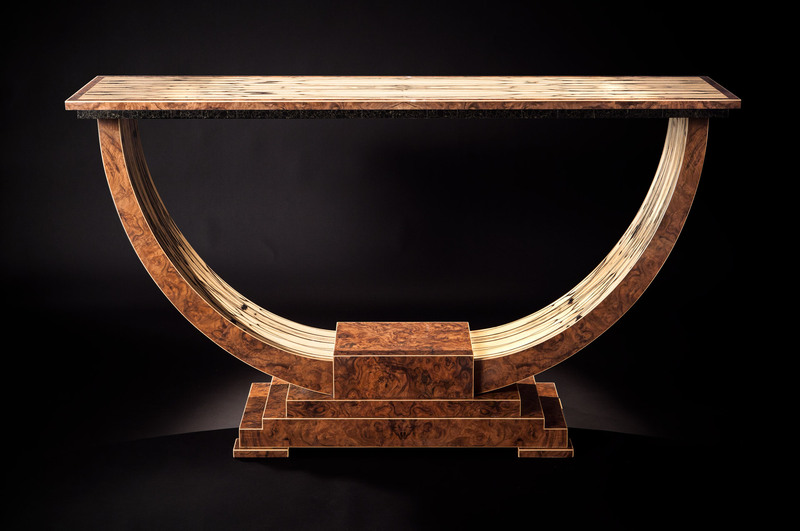 Beautifully figured, it is paired with fine English Walnut. 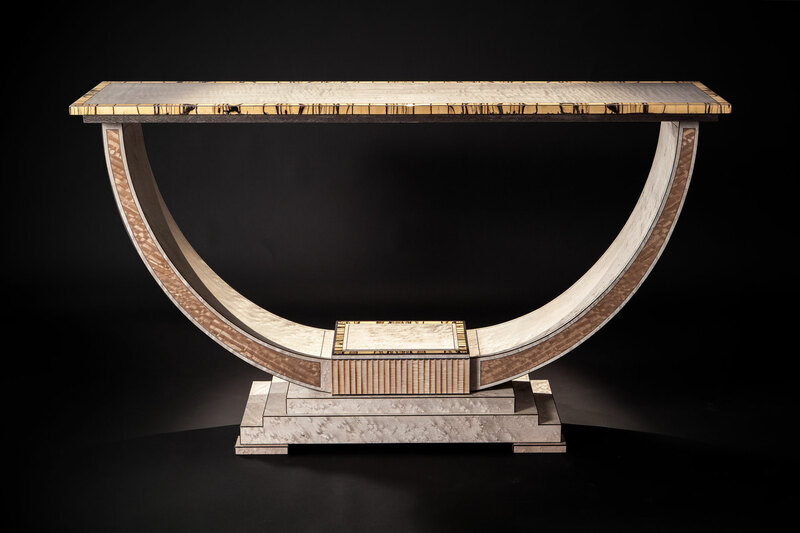 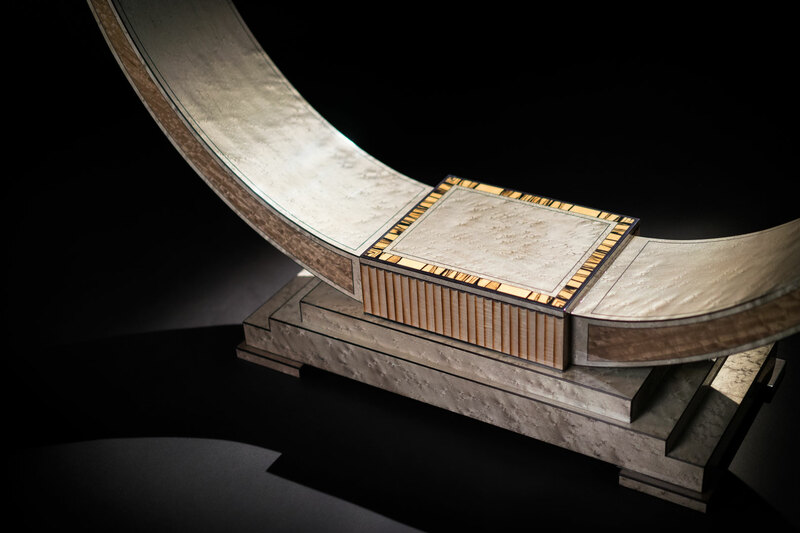 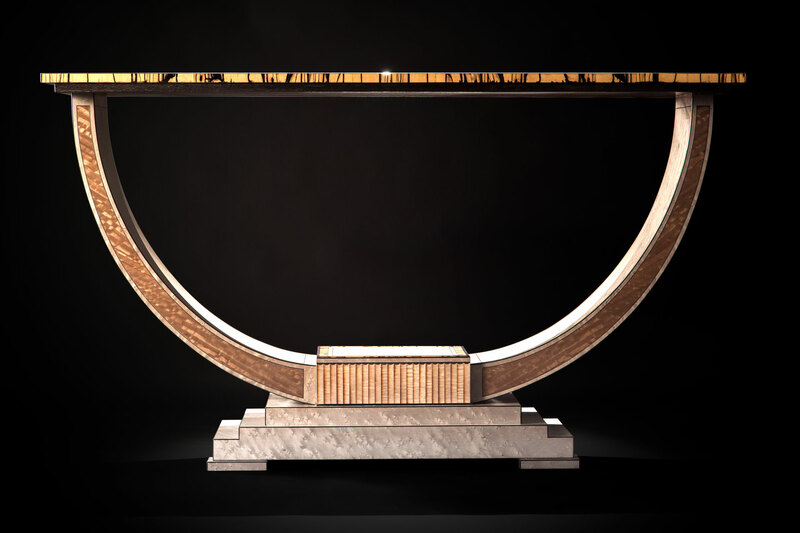 Stone with gold thread completes a refined console table. 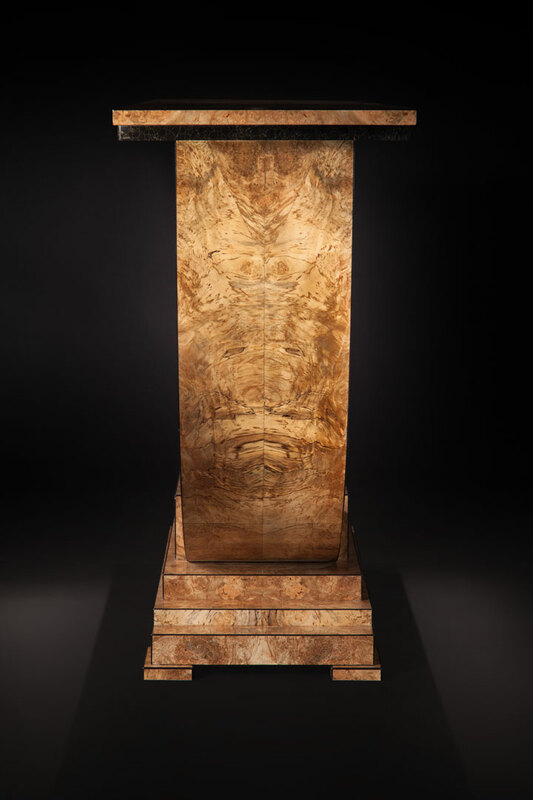 Stone veneer with gold thread makes for a distinctive and classical piece. 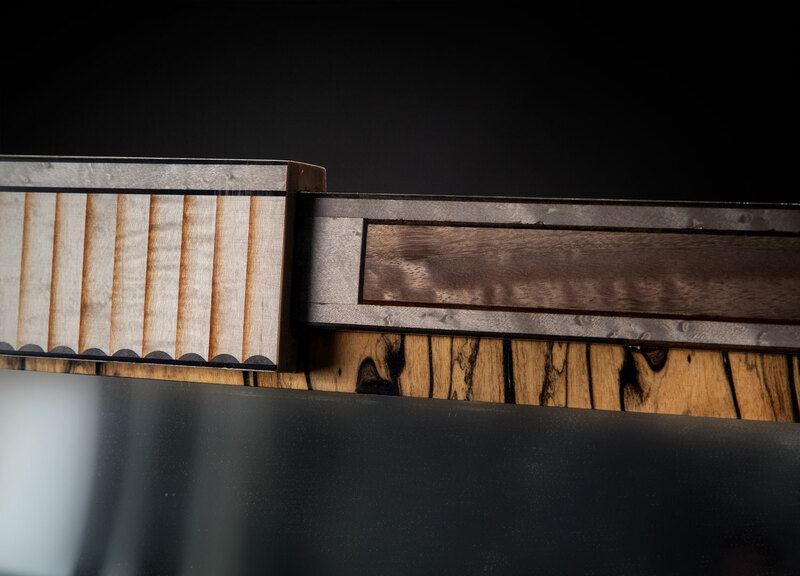 Inlaid with Black Boxwood and crossbanded with White Ebony. 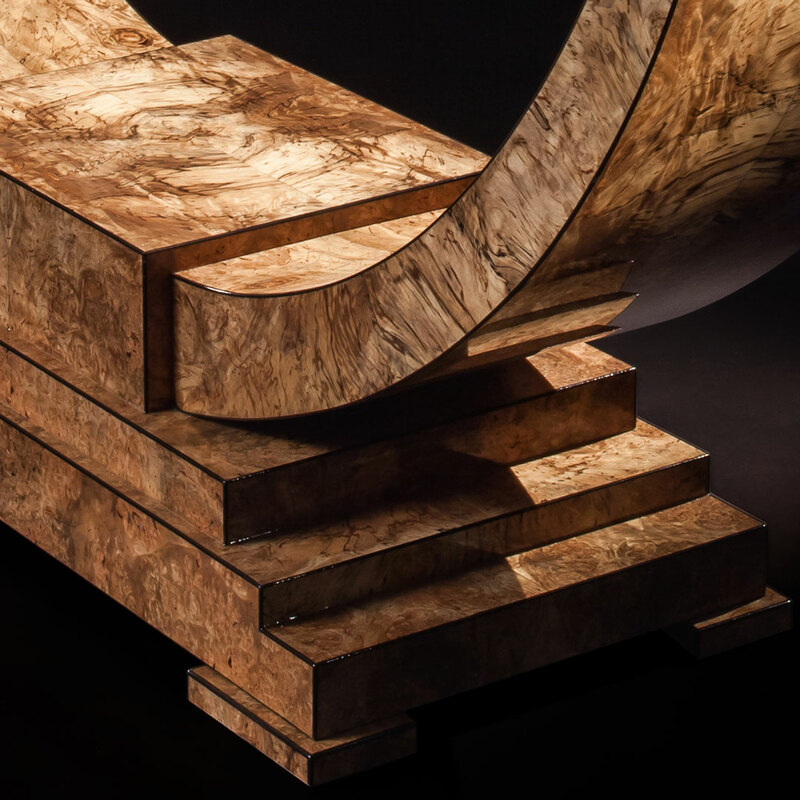 Eucalyptus panels are set into the delicately tapered arch supports. 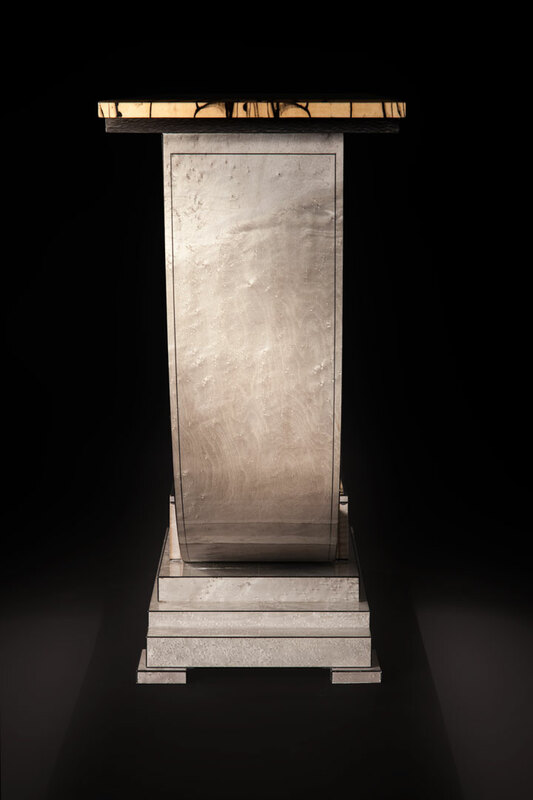 The centre block is encased with an architecturally classical motif. 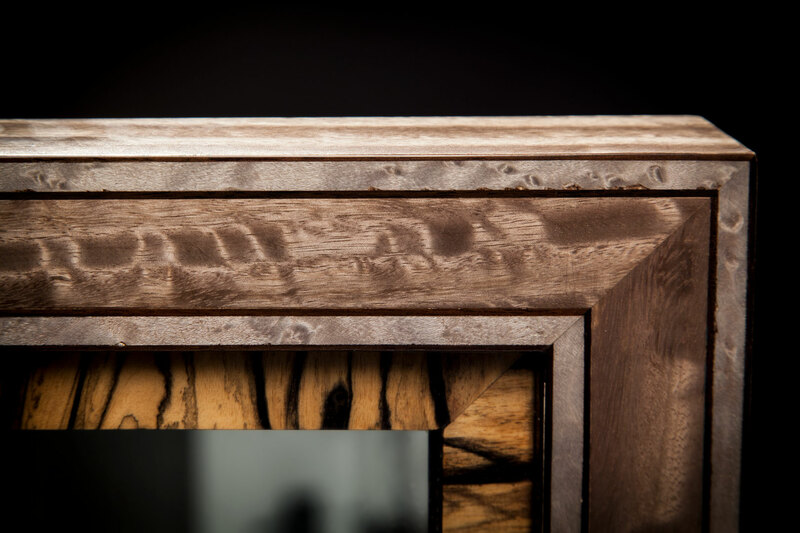 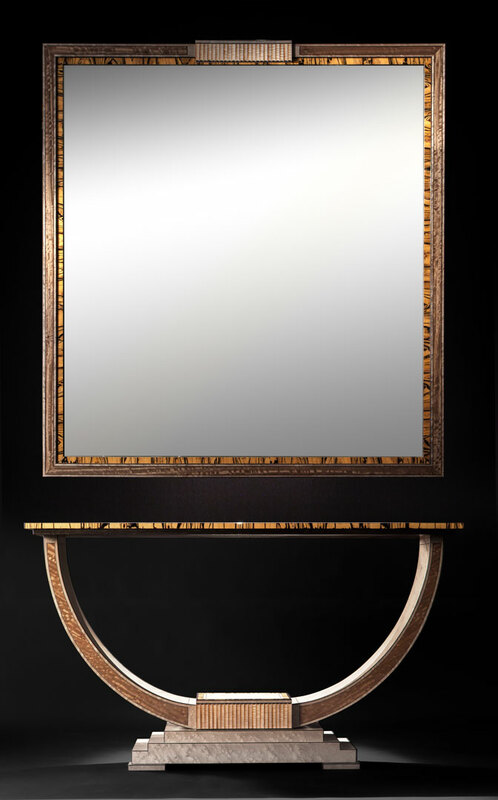 Produced to complement the Excelsior Console Table, this stately mirror has the same Eucalyptus panels and White Ebony stepped crossbanding. 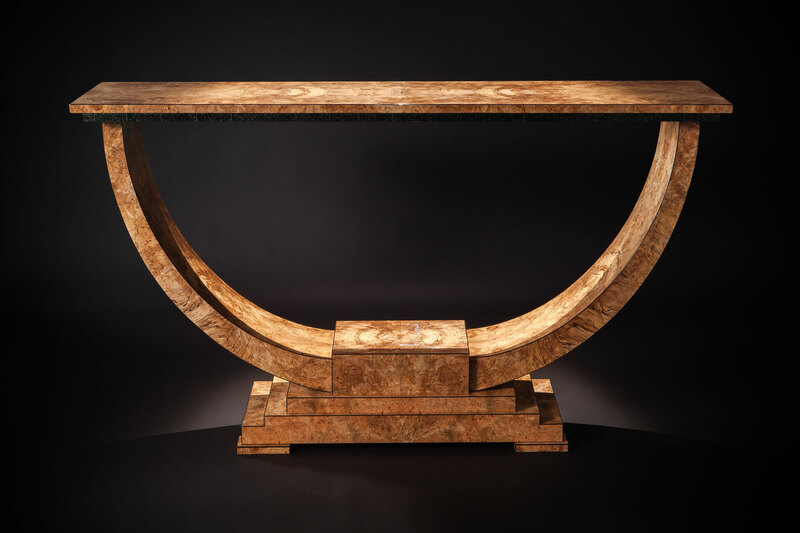 The classical motif above, mirroring the console's base, makes for a spectacular arrangement.